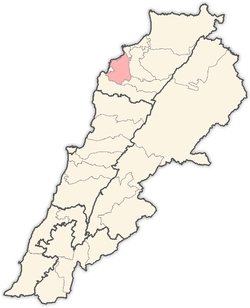 Koura or El Koura (Arabic: الكورة‎) is a destrict (in Arabic qadaa) in the North Govrenorate, Lebanon. Koura is ane o the 36 destricts o Lebanon, which is vera popular for the olive tree cultivation. It is kent bi its daurk green colour. A tot o 52 veelages mak up the Koura aurie. Koura's caipital is the toun o Amioun, (15000 offeecial inhabitant, statistics o 2010).